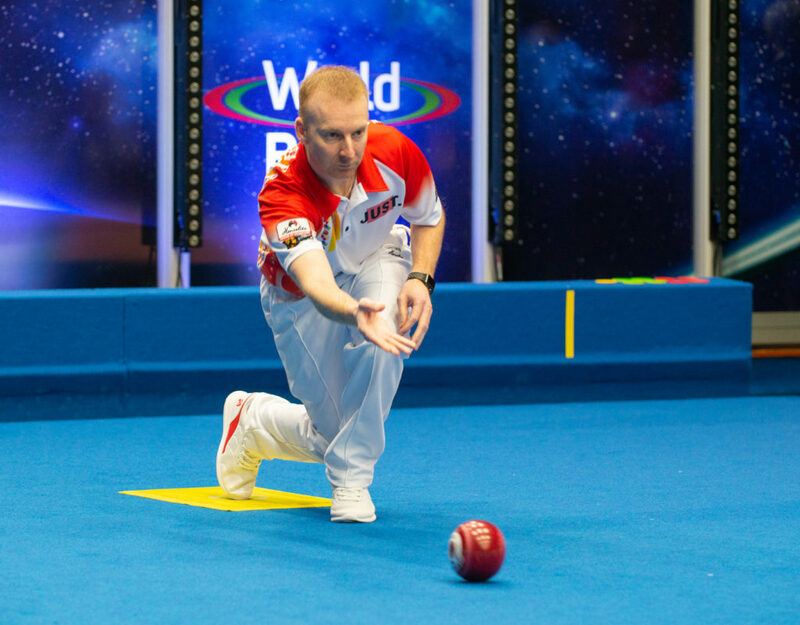 Next up on the portable rink in a second round singles were 6 x World Indoor Champion, Alex Marshall MBE, against Nick Brett, who has also held a prior win in the singles, two great top players all set to battle it out for a place in the quarter finals in the ‘Just’ 2019 World Indoor Open Singles Championship. Second set and Marshall found some of his form he is well known for and the tables were somewhat reversed. 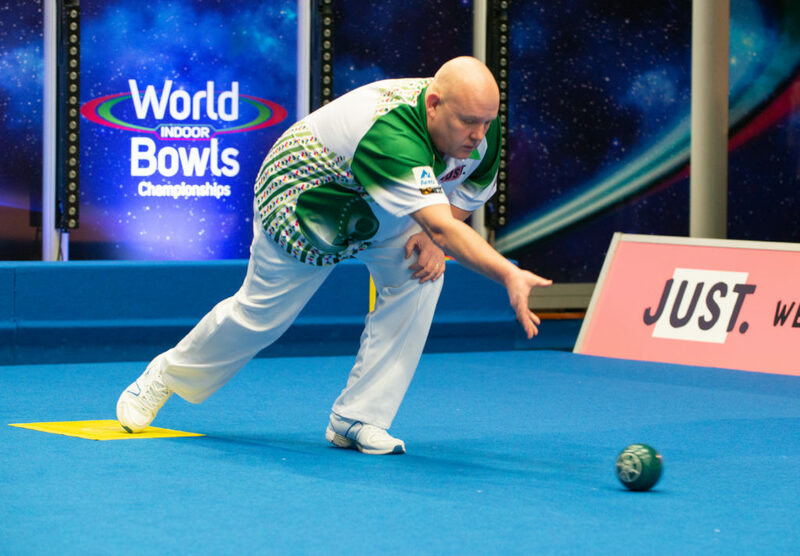 It was 4,2 to Brett in the third end and suddenly Marshall pounced with full steam as he took the remaining five ends to take the second set 4,9. Tie break and it was Marshall that took the first end with great bowls, second end it was Brett and in the third end it was a fabulous bowl from Brett that sealed this and set and match to Brett as he goes through to the quarter finals.